DescriptionGorgeous white wooden pegs made from high-quality wood, featuring a heart motif, these versatile pegs are an easy way to enhance your table décor. Use to clip menus to napkins, for example, or to attach a co-ordinating luggage tag to a favour pail. Each pack contains 20 White Wooden Pegs. 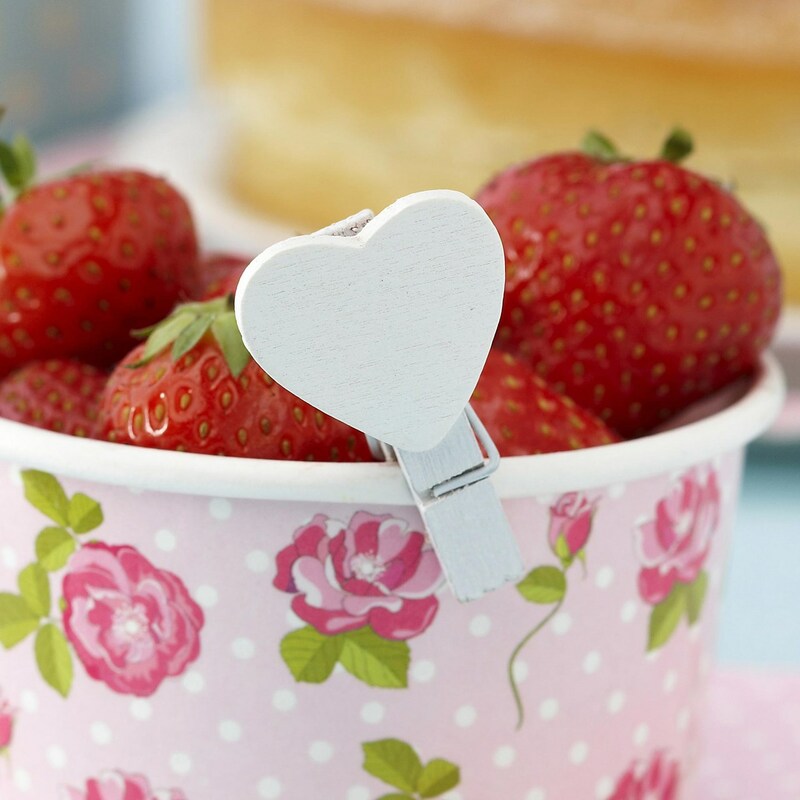 Gorgeous white wooden pegs made from high-quality wood, featuring a heart motif, these versatile pegs are an easy way to enhance your table décor. Use to clip menus to napkins, for example, or to attach a co-ordinating luggage tag to a favour pail. Each pack contains 20 White Wooden Pegs.